Obtain expert, practical guidance on each pathologic entity, including clinical features, pathologic features (gross and microscopic), ancillary studies, differential diagnosis, and prognostic and therapeutic considerations. Reference key information quickly and easily with a consistent, user-friendly format and at-a-glance boxes and tables throughout the text. Recognize all the nuances of how pathological lesions present through over 800 full-color illustrations. 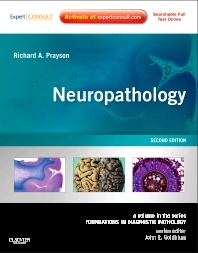 Practice with confidence and overcome your toughest challenges with advice from the top minds in neuropathology.